When talking about the Honda Civic, there isn't really too much to complain about. Sure it's about as flavorful as your grandparent's oatmeal, but it is very affordable and very reliable. Honda has been making the Civic since 1972 and it is one of the most successful nameplates in automotive history. Case closed, right? Well, Honda will clearly want you to forget the less than excellent 2012 model. This model year was so bad that not only did Consumer Reports not recommend it, they gave it a mediocre rating. Only the Volkswagen Jetta received a lower score. The new 2016 model will hope to erase the bad memories that 2012 left behind. Since 2012, the Civic has been missing the overall aura of quality that typically surrounds Honda products. 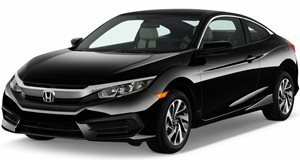 Even after the automaker's gaffe in 2012, the Civic has been growing uglier and less desirable with each passing model year. The new 10th generation model completely blows up this trend and may be the prettiest looking Civic that Honda has ever built. The 2016 model comes standard with a pedestrian 2.0-liter four-cylinder mated to a six-speed manual or CVT transmission. More enthusiastic customers can (and should) opt for the new 1.5-liter turbocharged direct-injected four-cylinder engine. 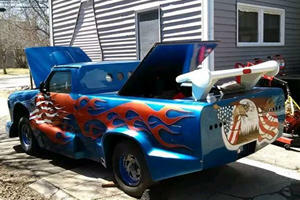 The turbocharged model ups the power from 158 to 174 horsepower and the torque from 138 to 162 lb-ft. Both engines can achieve more than 40 mpg on the highway with either transmission option. On the interior, buyers will be treated to upgraded materials with more head and legroom as well as a much softer ride than the outgoing model. 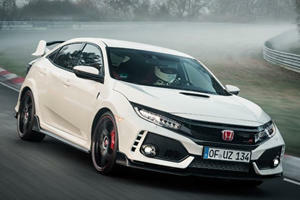 True enthusiasts will have to wait for the upcoming Si model and for the Type R to finally arrive on American shores. Both of these models will likely be turbocharged. 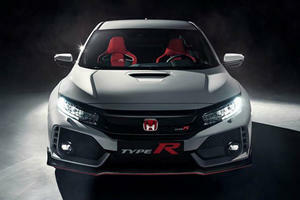 The European spec Type R already makes 306 horsepower, so expect an Si model to slot somewhere between that and the turbo model's 174 horsepower. The tenth generation Civic will also bring with it a very desirable feature, a HATCHBACK! Yes, praise the hatchback gods. Honda will finally bring the Civic hatchback back to the states after more than a decade lost in the woods. We can look forward to seeing a concept of that at the Geneva Motor Show in a few weeks' time. The 10th generation is certainly shaping up to be the best Civic of all time. Looks like the Civic Type R's power output isn't the only thing Honda has underrated. Where Halloween is a year-round thing. Uncovered NHTSA documents show that Honda is planning n entry-level Type R.